Pow Pizza’s Crime Wave is an update on Hawaiian-style with braised pork shoulder, pineapple, pork jus and fresh jalapenos. Photograph by Jared Sych. The latest creation by the minds behind Without Papers pays homage to the hearty pizza traditions of Detroit. 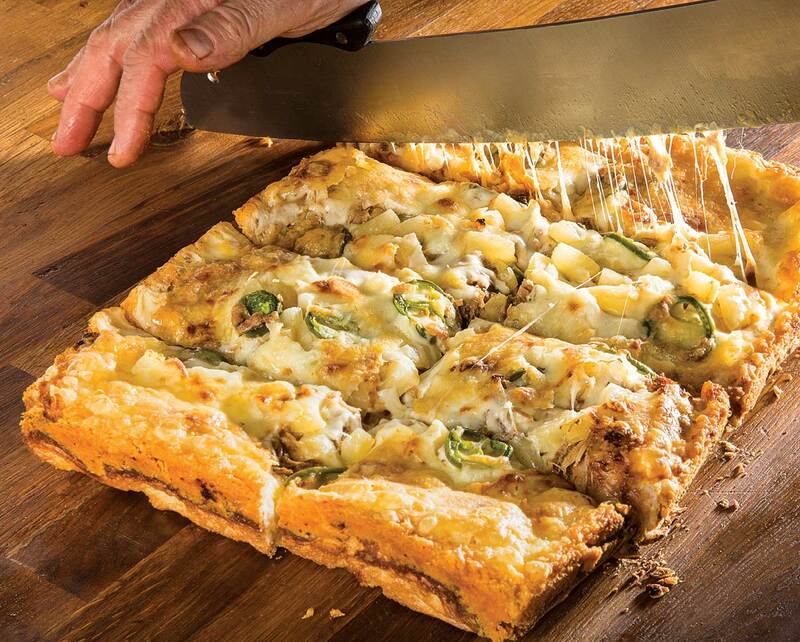 Pow Pizza takes the best parts of Motor City methodology — thick, square crust, toppings buried beneath brick cheese, sauce slathered atop after baking — and incorporates twists from Ukrainian cuisine, Hawaiian-style toppings and locally raised meats. Pow’s four-seat takeout counter has recently added delivery for those who can’t make the journey to Renfrew. Chef Angelo Contrada at Pow Pizza. Photographs by Jared Sych. 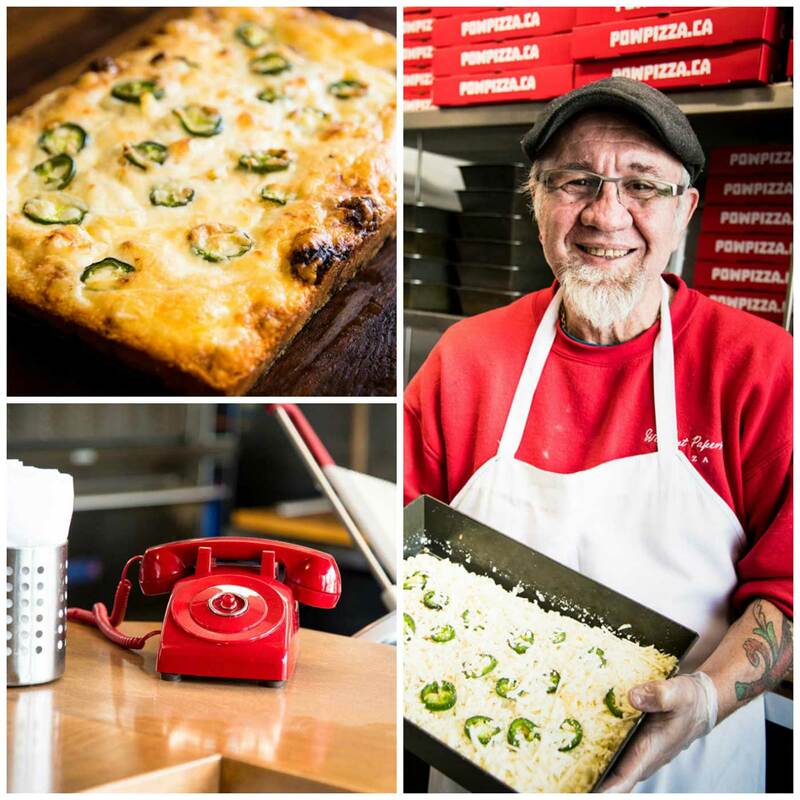 Look, there just isn’t another option for Detroit-style pizza here in Calgary. But if it’s thick-crust and delicious sauce and toppings you want, head to Stromboli Inn, which has been cooking hefty pies with excellence since 1972. The sea farer with lobster and crab is a great splurge, while the Stromboli sausage with Italian sausage and potatoes tests the boundaries of how filling a pizza can be. Vern’s began in Saskatoon and has since expanded to nine locations around Alberta, Manitoba and Saskatchewan. Speaking of expanding, we dare you to try the 18-inch mamma mia which weighs more than 10 lbs. Yes, you read that correctly — Vern’s makes pizzas that weigh more than a newborn baby.